I’ve been making this wonderful dessert for my family for at least the last 25 years. I have tried to find replacement recipes, but for my family nothing but this time- honored traditional cake will satisfy them. It’s a delicious dessert and you’re going to keep wanting more. To start off, I would recommend making first one of each vanilla and chocolate sponge cakes. If you’re going to be feeding a larger crowd you can add as many logs as you like and just build it up. I can’t tell you how many I make each year because each of my two married daughters ask for one for their homes for Christmas, in addition to the one I usually prepare for our Christmas eve dinner. For a special treat get the kids involved in the decorating process and they probably won’t be able to resist having some of that delicious butter cream all on its own. 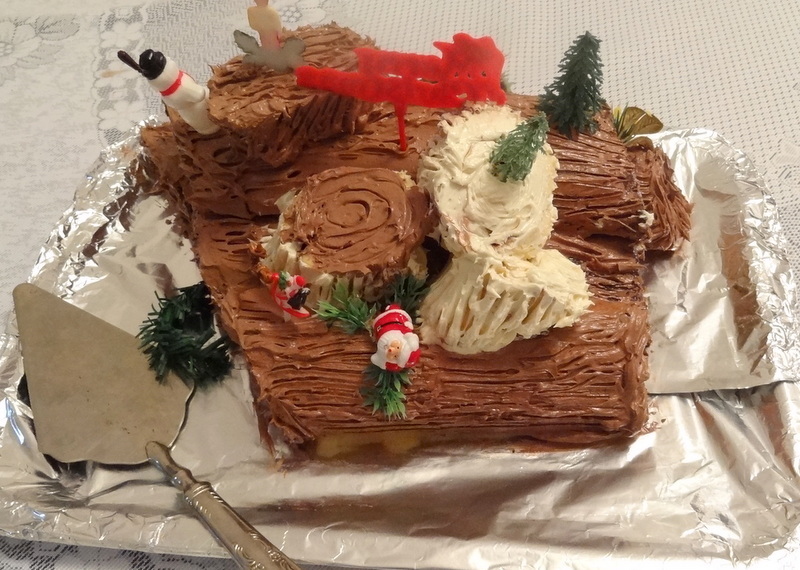 Because we are a large family and most people will have several pieces of the Buche, I usually make about 5 yule logs and build them up as shown in the pics. 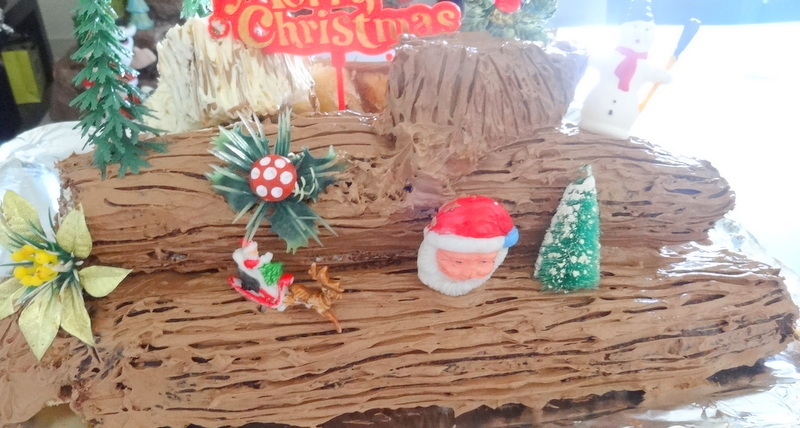 Some of the logs will be chocolate sponge with vanilla buttercream filling, and others will be vanilla sponge with chocolate buttercream filling. Slice smaller pieces at a diagonal and add them to the sides of the larger logs to look like smaller branches. 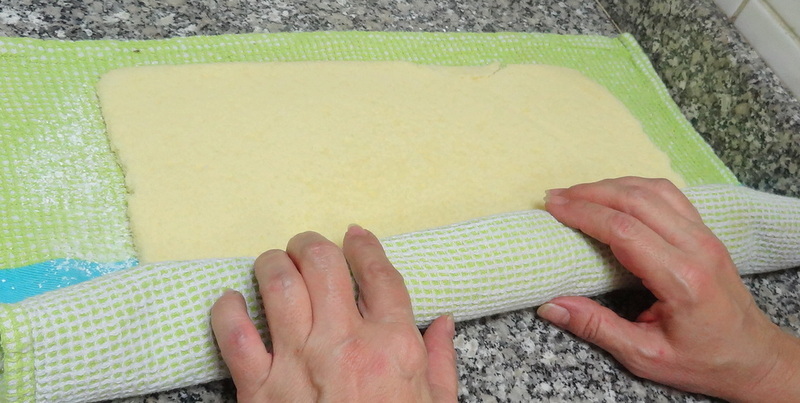 Drag the back of fork over the cream topping to create a rough surface. Decorate as you wish.